Rio Tinto will spend an additional $3.4bn to expand its iron ore operations in Western Australia’s Pilbara region. On the investment, Rio Tinto Iron Ore and Australia chief executive, Sam Walsh, said that it was a "significant milestone in our drive towards a 50% increase in the size of iron ore operations in Western Australia." Mr Walsh continued: "The programme remains on track and we are bringing new iron ore production on stream at a time when demand from Asian markets is forecast to grow strongly, while industry supply growth remains constrained." 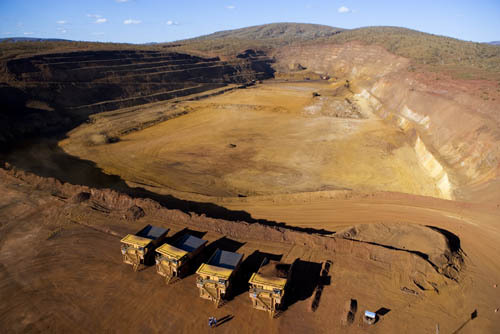 The miner will spend $2.2bn to extend the life of its Nammuldi iron ore mine, which will increase its production capacity to 283Mt per year by 2013. The first ore will be delivered in the third quarter of 2014 and during the transitional period, ore will come from other mines to reach 283Mt per year. Rio Tinto will extend existing mining below the water table, increasing the mine’s life by 14 years, at a production rate of approximately 16Mt per year. The company will then spend $1.2bn towards Cape Lambert port and rail early works needed for the proposed capacity expansion from 220Mt to 353Mt. The final feasibility study for the expansion is currently underway with a final investment decision expected later this year. Plans are also underway to replace an ageing car dumper with a new dual car dumper, contributing an additional 20Mt to take Cape Lambert capacity to 203Mt in 2015. The works and plans remain subject to approvals expected later this year. The approvals include a number of joint venture and regulatory approvals, including environmental clearances. Image: Rio Tinto investment will extend the life of its Nammuldi iron ore mine in Pilbara. Photo: Courtesy of Rio Tinto.